Today I found out they named Parkinson’s disease after a man who was involved in an assassination attempt on King George III. Parkinson’s disease is a movement disorder characterized by tremors or shaking, with this particular symptom of the progressive disease resulting from dopamine generating cell death in a part of the substantia nigra region of the brain . The disease was named after James Parkinson, a doctor, who wrote about it in 1817 in his 66-page paper, An Essay on the Shaking Palsy. 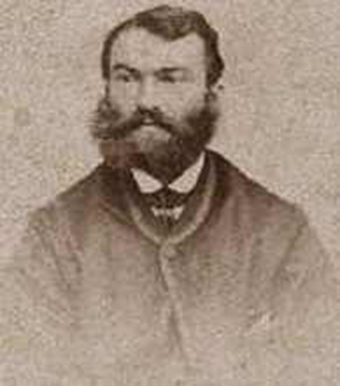 James Parkinson himself led a rather interesting life full of varied pursuits. He was born in 1755 and was steered toward a medical career early on by his father, who was a surgeon. It is believed that he studied at the London Hospital Medical College and earned a diploma from the Royal College of Surgeons. He started working in his father’s practice and later took over when his father died in 1794. However, although his work in medicine was what led to Parkinson being remembered today, it was not his only area of interest. He was also interested in chemistry, palaeontology, geology, politics and social reform. He published radical political pamphlets under the name “Old Hubert” and was a strong critic of Prime Minister William Pitt’s government, which he thought wasn’t doing enough for the under-privileged people in the country. In any event, five members of the society, including Parkinson, were implicated in the plot to use an air-gun to shoot a poisoned dart at King George III at a theatre. As an assassination plan, it doesn’t appear to have been a very well-thought out one—so many things could have gone wrong. However, they never got a chance to find out if it would have worked or not. The men were arrested before the attempt could be carried out. The others involved in the plot included John Smith, a bookseller; George Higgins, a chemist; and Paul Thomas Le Maitre and Thomas Upton (no relation ;)), watchmakers. All of them were taken in for questioning by the Privy Council and spent some time in jail. However, there wasn’t a lot of direct evidence of their plan and the charges against Parkinson and the others were eventually dropped. All that said, some historians believe that the plot may not have existed at all. Instead, they posit that the government had circulated a rumour about it in order to have an excuse to put restrictions on anti-government organizations. Pitt had already passed into law the Treasonous and Seditious Practices Act and the Seditious Meetings Act. The Two Acts, as they became known, basically boiled down to “saying anything against the government is now treason.” The London Corresponding Society in particular spoke out against these acts, believing they infringed on their right to protest the government, which may be why Parkinson and the others were targeted. While the Privy Council did not have any direct evidence against Parkinson for his involvement in the plot, through questioning about his activities with the London Corresponding Society they were able to learn about his radical political writings under the name “Old Hubert.” After this incident, the number of articles by Old Hubert dropped off dramatically, and Parkinson turned more and more toward writing essays about medicine and, later, nature and geology. In his famous essay, Parkinson presented six case studies: three of his patients, and three people he observed on the street. All of them displayed similar symptoms. He noted that the symptoms tended to become more severe over time. While the essay is thought to be one of the most important factors in doctors distinguishing Parkinson’s disease from other diseases, some of the information in the essay might make you wonder exactly how scientific the essay is. For instance, for those three people Parkinson observed on the street and never physically examined, he gives details such as their age and occupation. It remains unclear how he knew this information—whether he took their details after observing them, or simply guessed. Before writing about the disease that would later bear his name, Parkinson also wrote about gout and the appendix. In addition, he helped his son—who was also a doctor—with the first description in English of a case of appendicitis where perforation was shown to be the cause of death in the patient. There are quite a few famous people who suffer from Parkinson’s disease. Perhaps one of the most well-known is actor Michael J. Fox, who created a foundation to help fund research into a cure for what is the second most common neurodegenerative disorder, with the most common being Alzheimer’s. How are you able to get a photo of James Parkinson defore they were invented?